New trailer for Damien Chazelle's space race drama. 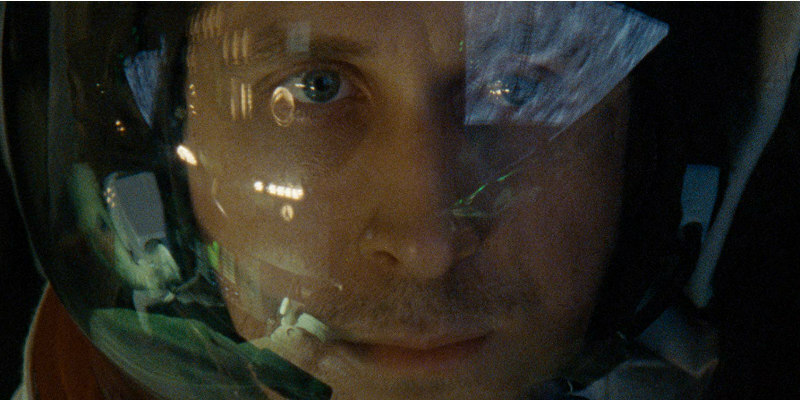 Ryan Gosling takes one small step for a man, one giant leap for mankind in director Damien Chazelle's adaptation of James R. Hansen's book First Man, which tells the story of astronaut Neil Armstrong. Gosling stars as the moonwalker, with Claire Foy as his wife Janet. The cast also includes Pablo Schreiber, Christopher Abbot, Ciarán Hinds, Jason Clarke, Ethan Embry, Kyle Chandler, Corey Stoll and Shea Wigham. First Man is in UK/ROI cinemas October 12th.